For some, hitting the gym regularly is about slimming down, dropping weight, or losing that beer belly. But of others, it is about the gains! If you are one of those people who hit the gym regularly to try and increase or build muscle, we get it can be frustrating. Building muscle doesn’t happen overnight and if you are not doing the right workouts, it can feel like a never-ending battle. If your main goal is to build muscle, there are certain tips you will want to follow and be sure to keep in mind everytime you throw your gym clothes on. At BodyPlex Fitness, we want to help you reach your fitness goals. Whether that goal is to run a marathon or build more muscle, our knowledgeable staff can help! With a location in Woodstock and Jasper, a fully equipped gym, and fitness classes that are fun and tough, BodyPlex Fitness is the perfect gym to get started on your fitness goals. In this blog, we are going to talk about building muscle. Follow these tips in order to start seeing the results you want and get those gains! First, we are going to talk about some important factors to take into account. These factors can make it easier or more difficult to gain muscle. It may be obvious, but males have an advantage when it comes to gaining muscle. Because men have higher levels of testosterone, as well as a higher blood cell count, men have an easier time of building muscles. If you are a female trying to gain muscle, just be aware that you will have a tougher time and have to push yourself harder than your male friends. Your genetics are also important when it comes to how much muscle you can build. If that doesn’t make sense to you since everyone has muscles, think about it like hair. Heredity determines if you have a full head of hair, some hair, or no hair. It is the same with muscles. Your genetics determine how much muscle you can actually build. People born with a higher number of type II muscle fibers, which are fast-twitch, have a better ability to grow bigger. These two things, along with the types of workouts you do, determine your muscle gain. Luckily, you can change your workout habits to gain more muscle. Now let’s take a look at our favorite muscle building tips! If your main goal in the gym is to build muscle, you will want to ditch the cardio. While cardio and weights is a great workout to do to improve your fitness, it is not what you want to be doing during your muscle gain mission. As hard as it may be, ditch the cardio while you are trying to build more muscle. There are a handful of workouts you will want to focus on. The first three are squats, bench press, and deadlifts. These three weight-lifting workouts help build strength, offer conditioning, and bulk you up. They should be done during every workout. Some of the other workouts to include into your routine are chin-ups, overhead press, and row. When you do these workouts you can use the greatest amount of weight and work a wide range of muscles. An article from Men’s Journal mentions that this stimulates the release of muscle-building hormones, helping you reach your goals quicker. A Verywell Fit article states that training with a high number of sets and reps and choosing weights that are not the heaviest you can go is the best way to build muscle. While you may think that lifting the heaviest weight you can manage will help you get those gains, you will want to stick with a medium weight. 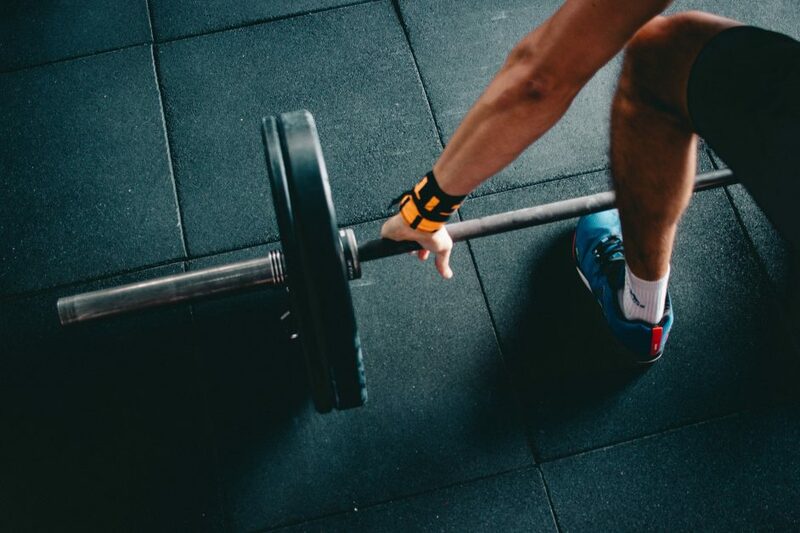 Being able to do more reps and sets, while maintaining proper form can help you build muscle faster than lifting heavier weight and doing minimal reps. The Men’s Journal article mentions another training method. Switch up your days by doing one heavy day, one light day, and one medium day. On a heavy day, do low reps. On a light day, do more reps. This is a good way to target all the muscle fibers and help your body adapt. Everywhere you look for muscle building tips, you will notice they all say the same thing. Lift weights at least three times a week. 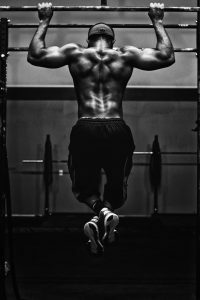 A Men’s Health article mentions that lifting every other day is the way to go. Do a challenging weight workout, followed by a day off, this will increase protein synthesis for up to 48 hours after your workout. You want to take days off in order to let your body recover and your muscle repair. Rest in between sets, especially during heavier sets. It is important to rest to let your muscles recover and grow. A study found that resting 30 to 90 seconds between sets can offer the purest muscle gain. If you are doing heavier sets, try to rest for two to three minutes. If you are doing lighter sets, your rest periods can be shorter. Another important thing you need to do in order to build muscle is to sleep. Rest is important during the workout, but sleep is important after. Sleeping helps muscles recover and repair, which essentially helps them build. Not getting enough sleep will not let your muscles recover sufficiently, delaying your muscle gains. This could also lead to injuries, which is why it is so important that you get a good amount of sleep. There is a lot that goes into eating when you are trying to build muscle. So much in fact, that we are going to cover what types of food you need to eat if you want to see muscle gains! Be sure to stay tuned for more about food choices and muscle growth! Building muscle requires a different fitness regime than other fitness goals. Losing weight requires more HIIT workouts and cardio, but gaining muscle is all about lifting weights. Follow these tips, and be sure to read our blog about food choices to get the gains results you want! 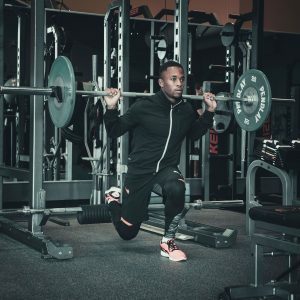 At BodyPlex Fitness, we know a thing or two about fitness and we want to help you understand your goals and what needs to be done to achieve them! Sign up for a free trial today and be sure to contact us with any questions you may have. These tips can help you get on track to your fitness goals and seeing those muscle gains in no time! Just remember, you have to stick with it.